Earlier this year I joined attorneys Nikolas T. Nikas and Dorinda C. Bordlee as counsel on the amicus brief the Charlotte Lozier Institute submitted to the U.S. Supreme Court in the pregnancy care center case, NIFLA v. Becerra. Nik is co-founder, president and general counsel of Bioethics Defense Fund (BDF) and Dorinda is Vice President and Senior Counsel at BDF. 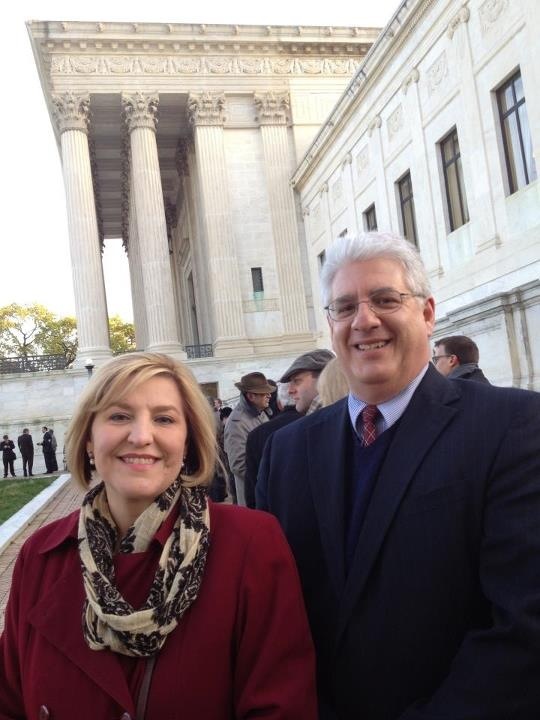 Earlier today Nik and Dorinda visited the U.S. Supreme Court in Washington, D.C. to observe oral arguments in the NIFLA case. I wasn’t able to make the arguments, but here’s a written interview I conducted with Nik and Dorinda. Lozier Institute: Ok, let’s ask the most important question first: did anyone mention our amicus brief at the oral arguments today? Bioethics Defense Fund: No, but the Justices explicitly cited two amicus briefs, indicating that the Court does indeed rely on them. We can be confident that our brief was read and will be considered also. Lozier Institute: For nonlawyers reading this interview, can you please provide a short overview of the facts of the case and the legal issues presented? Bioethics Defense Fund: In short, California passed a law that forces medical prolife pregnancy centers to post a sign stating that the state provides “free or low-cost…abortion.” It also forces non-medical prolife pregnancy centers to include a 29-word message stating that it doesn’t provide abortion in any advertising and that the disclaimer be in the same font size as the main message, and that the disclosure be in up to 13 different languages. The Court accepted the case to review the obvious burdens placed on First Amendment Free Speech rights of citizens morally opposed to abortion. Lozier Institute: So, what was your basic take on the arguments? Did the justices hint at how they might rule? Will this case be decided on a 5-4 vote? Even Justices Kagan and Sotomayor expressed concerns about how the Act seemed “gerrymandered” to target only anti-abortion pregnancy centers. The California attorney did not seem able to satisfy their concerns as to why all other health centers were exempted by the Act. Lozier Institute: Some observers are worried that striking down the California law forcing pregnancy care centers to share information about abortion could lead to courts striking down informed consent laws that require doctors to offer or perform an ultrasound before committing an abortion. What’s your view on that issue? Bioethics Defense Fund: Our brief set forth a foundational answer to that issue and a good summary can be found here. The NIFLA attorney also provided an answer that appeared to be acceptable to a majority of the court: that there is a difference in requiring informed consent for those who perform abortion, in contrast with compelling speech of those who simply provide information about abortion. We are hopeful that the Court will strike down the California law in such a way that the 26-year history of Woman’s Right to Know laws will be left intact. Lozier Institute: Did anything about the oral arguments surprise you? Bioethics Defense Fund: We were surprised that the California attorney did not argue the favorite myth of pro-abortion advocates that PHCs are deceptive. While we always believed that the Act was unconstitutional, we were surprised that the justices did not keep their thoughts close to the vest, as they often do, but were rather quite vocal about their problems with the California Act. Did any of those themes come up in the arguments today? And which justice would be most likely to resonate with that type of argument in writing an opinion? Bioethics Defense Fund: Those themes were not raised. If the Act is struck down, whichever Justice writes for the majority will have to decide whether to go beyond the First Amendment issues argued today, and possibly find (perhaps even in a footnote) that states should not expand a woman’s so-called right to choose abortion into a never before recognized right of a state to compel its citizens to promote abortion. Lozier Institute: The second focus of the Lozier amicus brief was to trumpet the amazing social contributions made by pregnancy care centers. Did any of the lawyers or attorneys refer to those contributions at the arguments today? Bioethics Defense Fund: The Court focused on the First Amendment issues, but there was an undercurrent of unquestioned respect for the legitimate work of prolife pregnancy centers. One of the unexpected blessings of this case is that it has brought attention to the heroic and often unsung work of pregnancy help centers who save the lives of children and the souls of their mothers on a daily basis. Lozier Institute: What’s it like being inside the courtroom at the Supreme Court for an oral argument on a case of such national and moral magnitude? 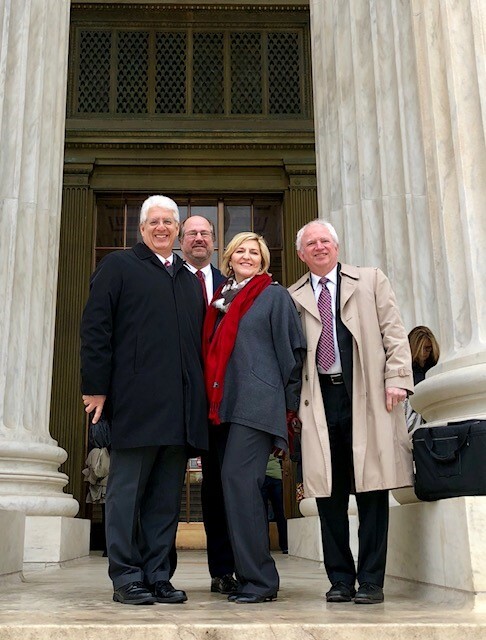 Bioethics Defense Fund: It’s always humbling to witness a Supreme Court oral argument, but the real joy is getting to network with the other attorneys and law professors in attendance who have also put their legal talents in the service of human life. Lozier Institute: Where can CLI readers find more information about the work of Bioethics Defense Fund? Bioethics Defense Fund: Bioethics Defense Fund is a public interest organization whose mission is to put law in the service of human life via model legislation, litigation consultation, and engaging live education in professional schools of law and medicine. You can learn more on our website, bdfund.org, or on our Facebook page, Facebook.com/bdfund. Thomas M. Messner is a Senior Fellow in Legal Policy at the Charlotte Lozier Institute.